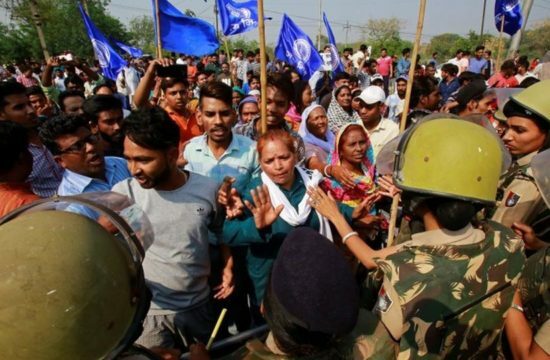 Home /Recent Post/“The Attack on the Peoples Movements in Jharkhand” – NCHRO Fact Finding Report. 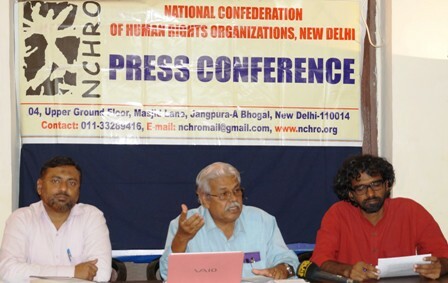 “The Attack on the Peoples Movements in Jharkhand” – NCHRO Fact Finding Report. The present BJP government in Jharkhand had arrested more than 4000 persons mostly adivasis for their participation in peoples movements and also had banned many organizations fighting for the rights of the people. Recently two such movements Mazdoor Sangathan Samiti (MSS) and Popular Front of India (PFI) were banned. 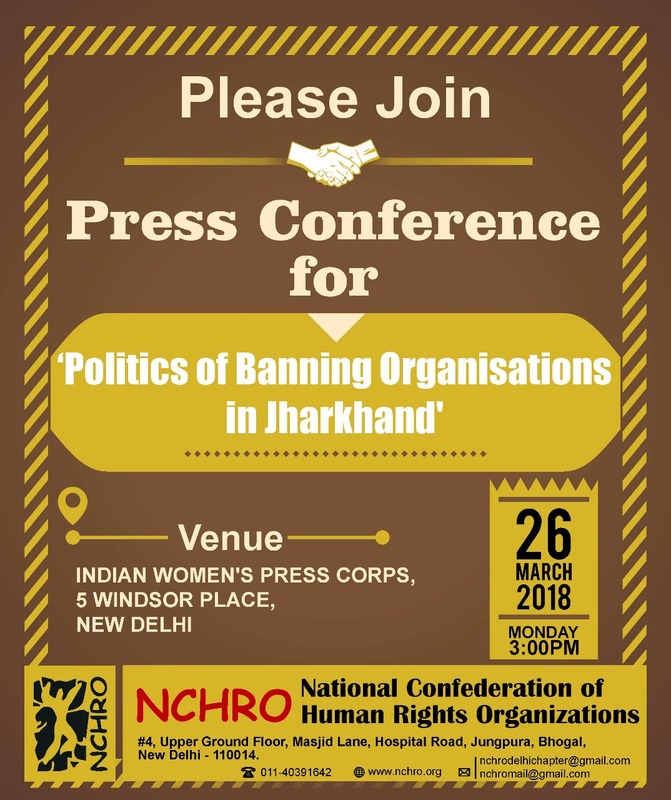 A Fact Finding Committee of NCHRO visited Jharkhand on March 23 and 24 and met some of the organization leaders, relatives of the people in jail and some social activists and spoke to them on the real situation that prevails now in Jharkhand. MSS is a registered labor organization functioning in the mining and industrial areas in Jharkhand with more than 20,000 miners as its members from 1985 onwards. It is fighting for the rights of the workers. PFI is also a registered organization functioning from 2006 onwards in almost all southern states and also in some states in North and East. For the past two years the BJP government was threatening to ban PFI. On Feb 15 the minister of state for home affairs Mr.Kiren Rijiju said that the Kerala government has sought a ban on the PFI. The next day the Kerala CM Mr. Pinarayi Vijayan refuted the statement saying that they never sought a ban on any organization including PFI. 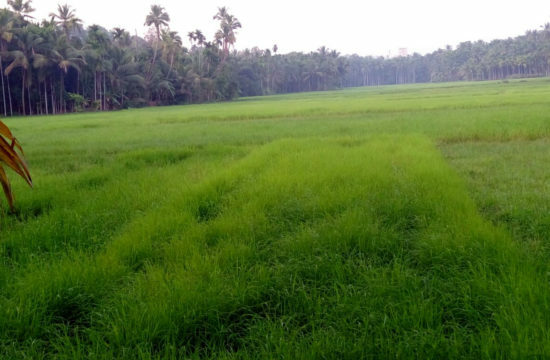 The next day the minister said that the DGP of Kerala had spoken about such a ban in the annual DGPs conference and this was also refuted from the office of the DGP, Kerala. In this background on Feb 22, 2018 the Raguber Das government ruling Jharkand announced the ban on PFI. 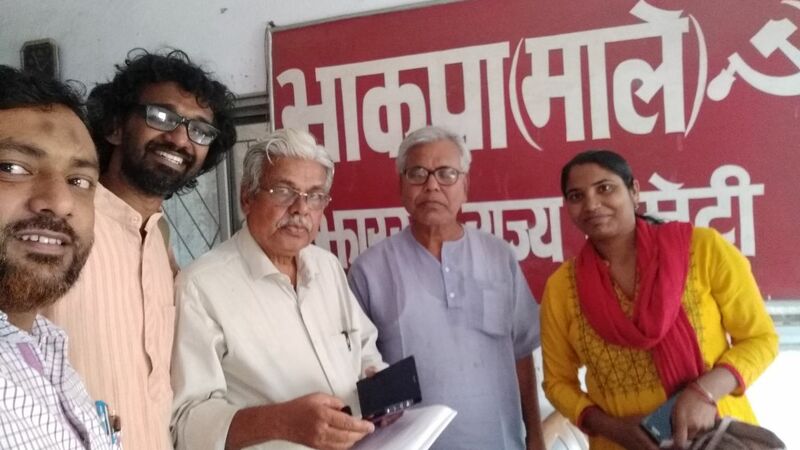 Fact finding team were met and spoke in Jharkhand includes Father Stan Swami of ‘Bagaicha’ movement fighting for the rights of the tribals, Debi w/o Damodhar Puri, the activist now arrested after the ban on MSS, Nadeem Khan, a CPI (ML) activist, Tridip Gosh, a retired engineer and HR activist, Hanzla Sheikh, state vice president of the banned PFI and many others. Prof A.Marx, Chair Person, NCHRO, Reny Ayline National Secretary, Adv. Ansar Indori national Exco Member, were shared their experience and released fact finding report in Press conference at New Delhi. 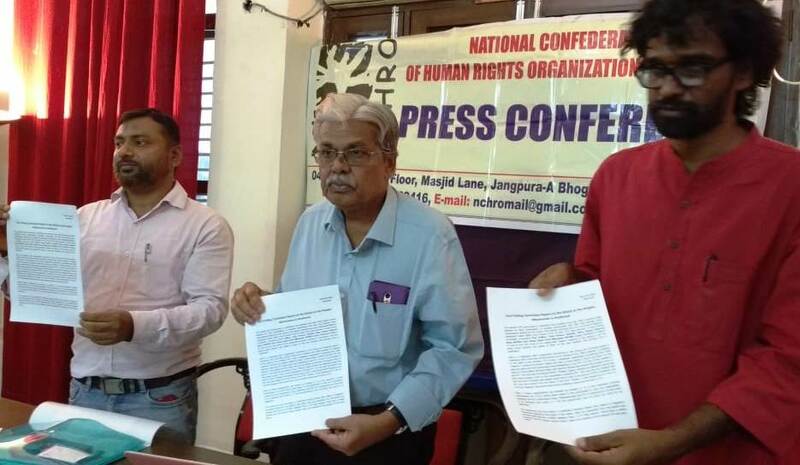 “The Attack on the Peoples Movements in Jharkhand” – Detailed NCHRO Fact Finding Report. Now PFI is banned by the Jharkhand government and two people were arrested in connection with this under section 17 of CLA Act. One is Themhirdur Rahman a motor cycle mechanic. His workshop is now closed. Another person arrested is Ubaidur Rahman who is the PFI district President of Pakur. A former office of PFI in which it is not functioning at present is also sealed now. 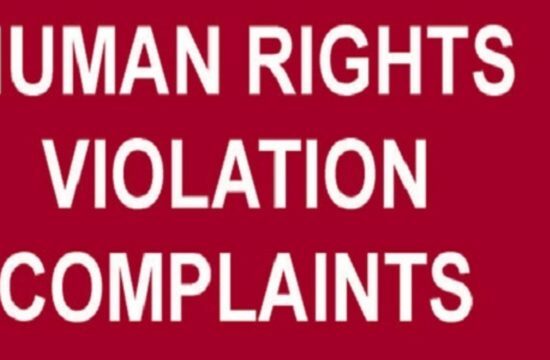 Thermihidur Rahman’s brother Saeedur Rahman who is running a service shop helping people who apply for Aadhar or Pan cards was also harassed. His shop was searched and hard discs of his computers were seized by the police without giving any receipt. Now they call him to receive that seized .hard disc. But Saeedur is afraid of going there for fear of being harassed and arrested. 1. In the recent past a no of Muslims were lynched to death in false charges. When even lawyers feared to appear for the victims it is we who fought for justice in almost all the cases and now some of them are sentenced in such cases. 10. We raised the awareness of Muslims regarding their constitutional rights. 1. For the ban on MSS also the state government is not able to put forward any convincing reasons for such an extreme action. 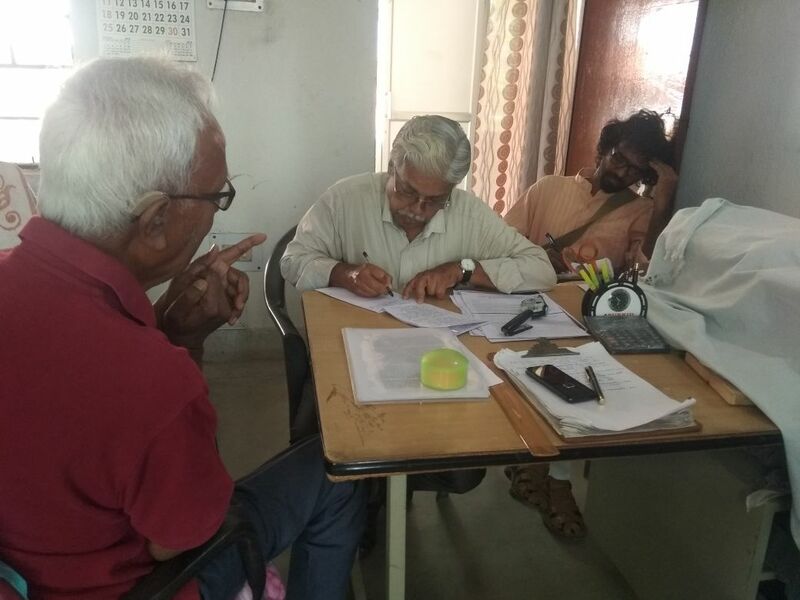 Conducting a meeting in which the poet Varavara Rao spoke cannot be a reason to ban a labor organization. The meeting was arranged by Damodar Turi who has nothing to do with the banned organization. He belongs to another organization by name Vistapan Virodhi Janvikas Andolan. 2. The BJP government hates the minorities to such an extent that they should not even conduct an educational awareness program within their community and presenting school kits containing educational materials. 3. Keeping thousands of tribal people as under trial prisoners is really shocking. What prevents the Jail superintends to answer in proper time to the queries sent under the RTI act? Actions should be taken against them. 4. Even among activists we found there is no enough awareness about the plight of Muslims. 5. The BJP government at the centre and the Hindutva forces had chosen Jharkhand as their experimental state for their Rama Rajya. 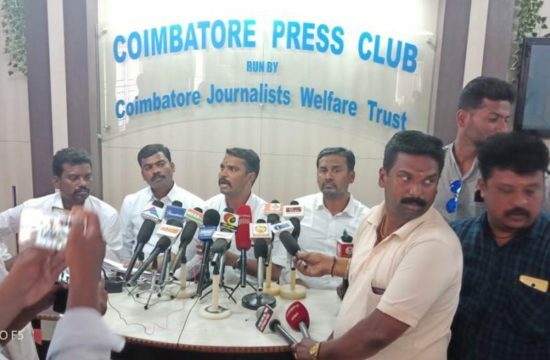 They had banned a number of organisattions fighting for the rights of Adivasis, Mining workers, Muslims and Women. They are having a plan to ban more number of organizations. They hate to see any party developing in an all India basis and fighting for the rights of minorities. 6. There are now 450 non Hindu NGOs that have been black listed in Jharkhand. It doesn’t mean that the government is against NGOs. 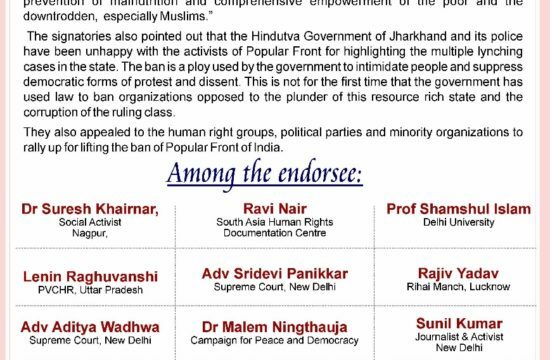 There are a large number of NGOs run by Hindutva organizations functioning in Jharkhand. 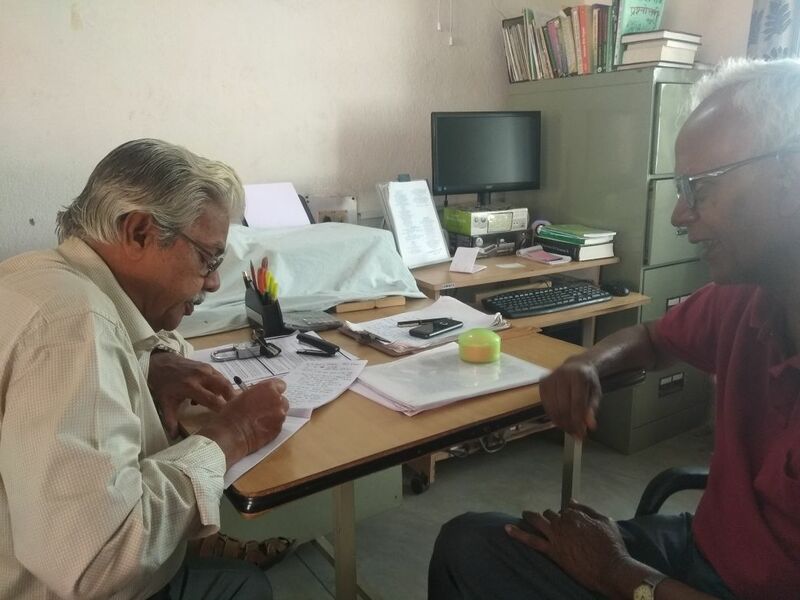 The National Health Mission project is now implemented here by such an organization led by Ashok Baghat. 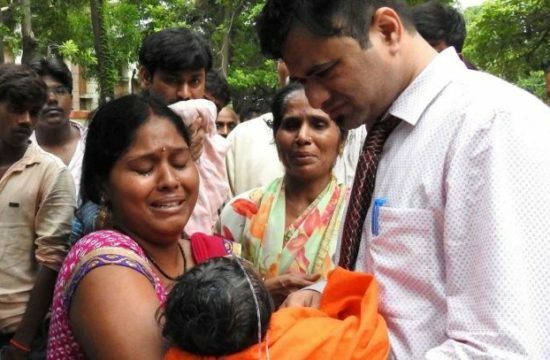 When we met an executive of this organization she said that this health program was entrusted to their organization by the present President Ramnath Govind when he was the governor of Jharkhand. 1. The illegal ban on PFI and MSS should be immediately lifted and those arrested in related cases just to justify these bans should be released and the cases against them should be immediately withdrawn. List of the people arrested in related cases are 1. 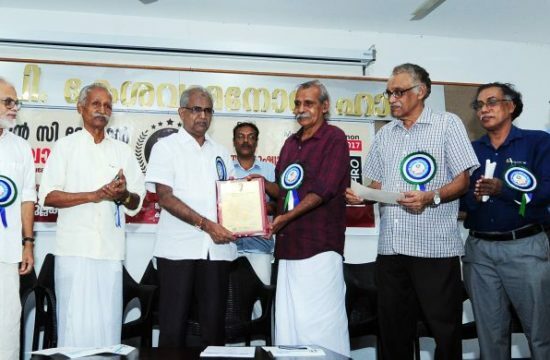 Themhirdur Rahman (PFI) 2. Ubairdur Rahman (PFI) 3. Ajay Hembrum (MSS) 4. Mohan Murmu (MSS) 5. Daya Chand Hembrum (MSS) 6. Damodar Turi (Vistapan). 2. The draconian British imperial Law CLA 1908 should be immediately repealed. 3. All the under trial prisoners should be released on bail immediately and a special court to be formed to dispose their cases. 4. The NHRC and ST Commission should take note of these arrests of innocent adivasi youths in large numbers and necessary action should be taken against the state government. We demand a judicial enquiry should be ordered in this regard. 5. A special court should be constituted to deal the lynching cases in Jharkhand and through a speedy trial the cases should be tried. (1)	Latehar Lynching : Two cow traders Mohammed Majlum Ansari (35) and Inayatullah Khan (12) were killed here on 18.03.2016. A PIL (WPC No 5370) was filed by the State President of PFI Hanjela Shaik in 2016 demanding a high level inquiry by some agency such as CBI. When the court advised the petitioner to file the cases on behalf of the near and dear of the victims, PFI withdrew its petition and helped the family of the victims to file the cases (WPC 7376 and 7430 of 2017). It was PFI that provided legal assistances through a competent lawyer. (3)	Sareikela mob Lynching: On May 18, 2017 four Muslim youths (Shaik Naeem, Shaik Halim, Shaik Sajjad, Shaik Siraj) were lynched to death by a mob a few days before the beginning of Ramzan. The killers justified the crime saying that the victims were child abductors which is not true. The incident happened in Shobapur village in Sareikala dt. A fact finding team was organaised by the PFI District.Secretary Abdul Hannan. Four FIR s filed. 21 arrested. Four Writ Petitions (W.P 301,302, 303, 305 of 2017) filed by family members asking compensation and government jobs to the families. (5)	Because of the continuous peoples movement spearheaded by PFI demanding action against Hisabi Rai, finally a FIR was registered against him. But he was not arrested. 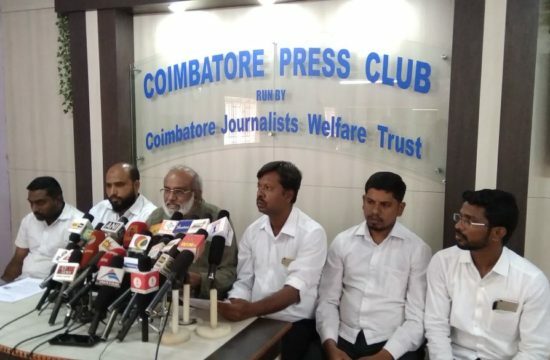 Shamim Akhtar , a state committee member of PFI filed two criminal writ petitions in the High court with a plea for CBI enquiry in the hate message case and the false cases against 43 persons who participated in the peaceful march. One should remember that we have quoted here only a few incidents. 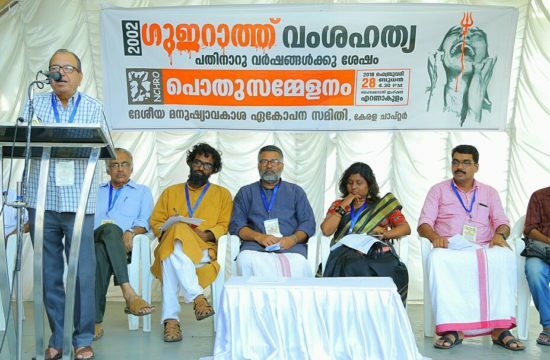 It is in this background the ban on PFI is announced in Jharkhand immediately after the Kerala government refused to cooperate with the centre in banning PFI all over India.